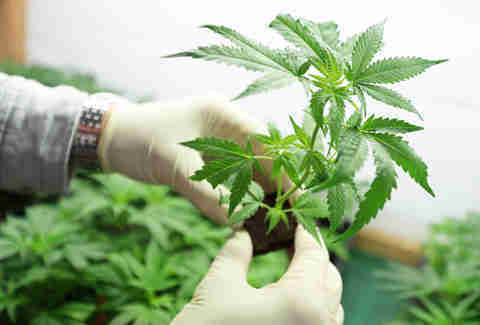 While it’s true that Pennsylvania legalized medical marijuana back in 2016, recreational use remains out of reach (although an upcoming bill could change that). When it comes to buying weed, most people -- even many of those who actually have a prescription -- are still relying on the old, shady methods. So, don’t plan on deleting your dealer’s number anytime soon. Let’s be clear at the outset: don’t expect to waltz into your doctor’s office, lay down some keywords about back pain, and then walk out with a pot script. It doesn’t work like that. 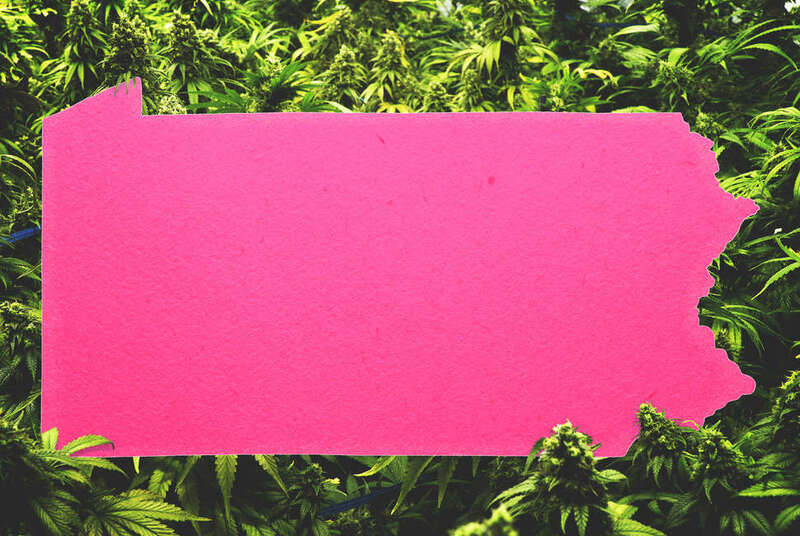 Like most states, access to medical weed in Pennsylvania is limited to serious -- and, in some cases, terminal -- conditions. Goldstein, the Temple U professor, noted that Pennsylvania was pretty innovative with two of its qualifying conditions -- Autism and Post-Traumatic Stress Disorder -- as the state was “one of the first” to add those to the list. See the full list of qualifying conditions here. 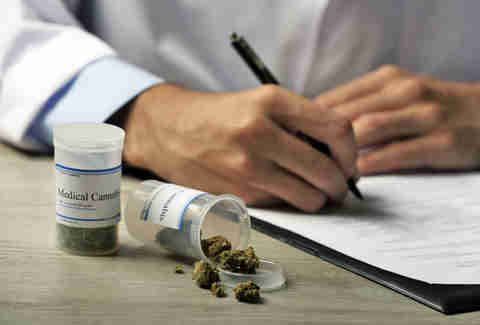 Maybe you can chalk it up to “Reefer Madness” stigma, or maybe there’s just too much red tape at the moment, but Pennsylvania is suffering from a dearth of pot doctors. There are roughly 475 doctors approved to recommend cannabis therapy in the entire state -- out of about 56,000 physicians, estimates Goldstein. That’s a massive disparity. Dispensary weed is expensive -- exorbitantly so. Medical cannabis in Pennsylvania is selling for anywhere between $60 and $144 per gram, according to Goldstein. That’s right, per gram; we’re talking anywhere from five to seven times the price of street weed, depending on the product. “The price is really where it gets most crazy,” said Goldstein, who also referred to the state’s medical marijuana law as “one of the most restrictive in the country.” That's not counting Texas, though. It's hard to say, but there are reasons to be cautiously optimistic. Even with all the current hiccups, PA’s medical marijuana industry continues to evolve -- and that evolution could very well accelerate if the state goes blue in the upcoming midterm elections, Goldstein said. Riding this wave of change, in 2017 Philly voters elected an unorthodox new District Attorney, Larry Krasner, who recently announced his office was deprioritizing simple pot possession. In that same announcement, Krasner directed his assistant district attorneys to drop possession charges against a whopping 51 people. Governor Tom Wolf has even said he's open to "taking a serious look at legalizing recreational marijuana." Philly’s still a long way from being Amsterdam, but this is a hell of a start. Statewide, there are plenty of kinks to work out when it comes to marijuana, but the future looks promising. And, if Philly is setting the pace for the state -- and we hope that it is -- then widespread recreational use may not be such a distant dream after all. Sign up here for our daily Philly email and be the first to get all the food/drink/fun Philadelphia has to offer. Dutch Godshalk is a writer living in Philadelphia. His words have appeared in Men’s Health, The Guardian, Billy Penn, Time Out London, and various other media outlets. Follow him on Twitter: @DutchGodshalk.